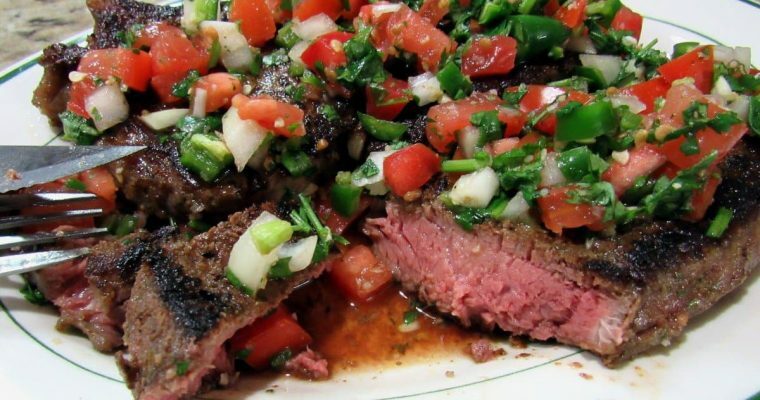 Carne Guisada is a Tex-Mex favorite of mine for sure. I think you will find this Carne Guisada recipe about as simple as they come. One of the things I probably miss the most about not living in Texas is not being able to just jump in my car and drive a block or two and pick up a couple Carne Guisada Tacos. 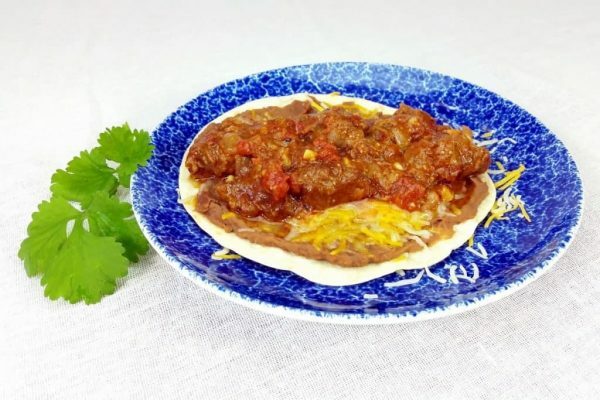 Living in Alabama presents little chance of finding a Carne Guisada taco anywhere. As I think about it, I don’t think I’ve seen Carne Guisada outside of Texas. Looks like I am going to have to cook it myself. Fortunately, this is a pretty simple task and it will yield delicious results and this Carne Guisada recipe will definitely scratch that itch. 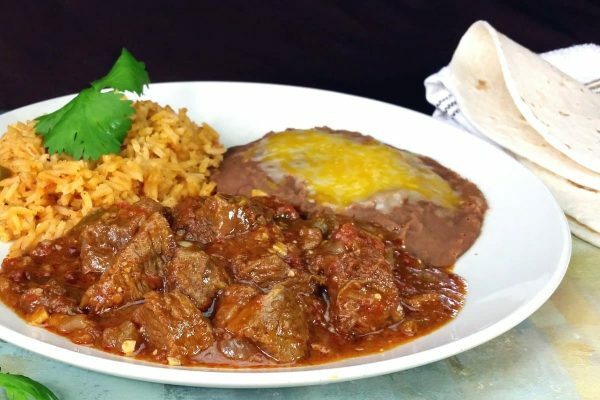 If you have spent any time in Texas indulging in Carne Guisada, you’ve probably noticed there are a few variations. Some places serve Carne Guisada with a brown gravy. And some serve it with red gravy. Also, I’ve had it with and without diced potatoes although I prefer it without. 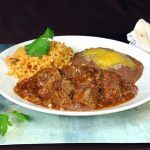 This Authentic Tex Mex Carne Guisada recipe is sure to bring a smile to your face. 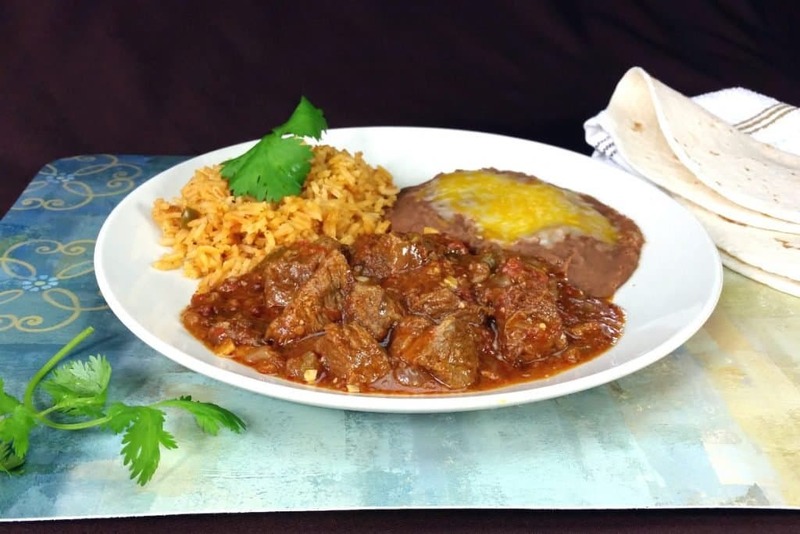 Carne Guisada is a unique Tex-Mex comfort food favorite. 2 lbs Beef Roast Chuck is what I use. Use something with some fat. 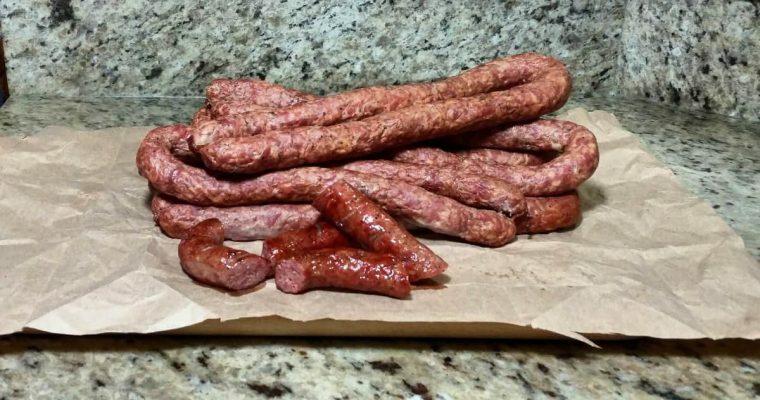 Brown meat in the oil. Add all other ingredients except the chocolate roux to the pot. Simmer covered over low heat for one hour or until meat is tender. Add chocolate roux and simmer another 5-10 minutes, stirring often until roux is dissolved and gravy is thickened. Serve on hot flour tortillas. Top with cheese, sour cream, salsa, pico de gallo or whatever sounds good to you. Most recipes for Carne Guisada call for beef stock. I have never needed it because there was enough liquid generated from the meat and veggies. You can have some on hand to add just before adding the chocolate roux in case it looks like most of the liquid has simmered away. You shouldn't need any more than 1/4 - 1/2 cup.